A lot of the best tricks that have happened at Emerson were never photographed or videotaped. Here is an illustrated list I have compiled with the help of friends. This is certainly one of the most creative things I have seen at the park. George made a visit to the park and as usual, he ripped. 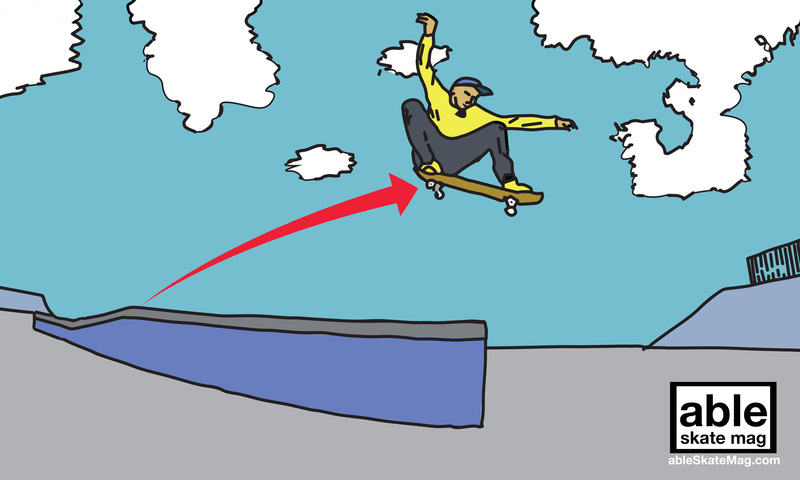 He ollied up the box full speed and used the incline to launch himself over the end of the long part to flat. Upon seeing this in person I immediately thought “What a cool idea, let me try” and plowed my way towards the box to try it myself… no dice. Not even close. Since that day I have told many about George and his bionic leap and dared others to try and other people have tried but still… nobody has been able to recreate it. Okay, so I have been told that there have been a couple of guys to pull of this transfer after Paul did it, but I have yet to see any actual proof. Nevertheless, Paul was the first to do this giant transfer. It was a typical day at the park in 2004 when Paul showed up and was ripping the park to shreds. He had mentioned that he had been “away” for awhile, and this was his first time riding a board for a month. Within two tries Paul cleared this giant gap. I was in shock. 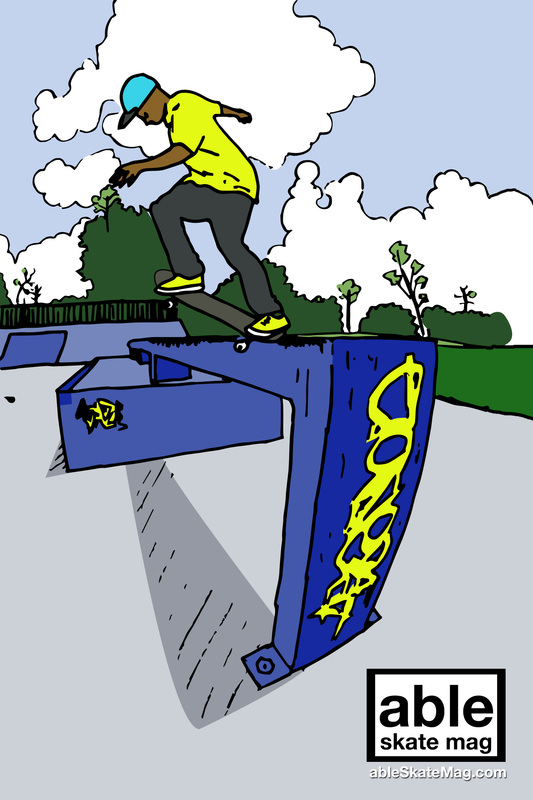 Afterward, he ollied up the tall side of the box, did a manual down and kept manualling off the box and onto the concrete then hopped into a feeble grind on the flat bar. I hadn’t seen anything like that before at the time and complemented him on his “Tony Hawks Pro skater-like” abilities. Cheat codes maybe? Dorien has always had something that every other skateboarder wishes they could possess. That is finesse. No matter what trick he does on a skateboard it always seemed to just pop, flip and land perfectly. This trick was no different. From what I have heard he did this trick multiple times going full speed across the big bar. Most can’t even ollie that high. He did it switch. It’s the honorable mentions section. It’s tricks that we wanted to add at the last minute to give gratitude to some of the ripping-est dudes at the park.